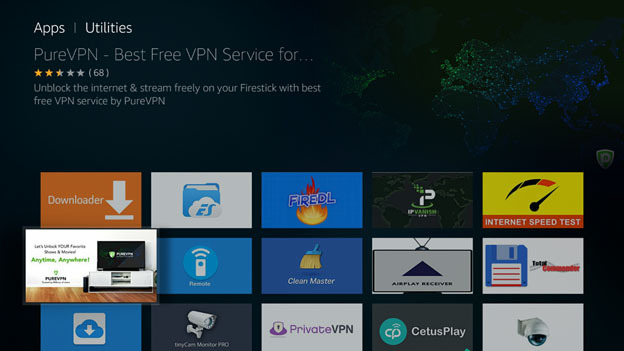 How to Setup PureVPN with Amazon FireTV and Amazon Fire TV Stick? 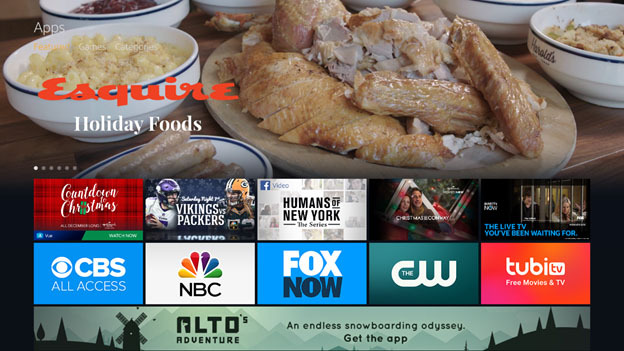 Amazon Fire TV is a new blend of technology that connects with your HDTV and exposes you to the ever going world of entertainment online. It also offers 4K Ultra High Definition streaming. An Amazon Fire TV/Fire TV Stick above First Generation. 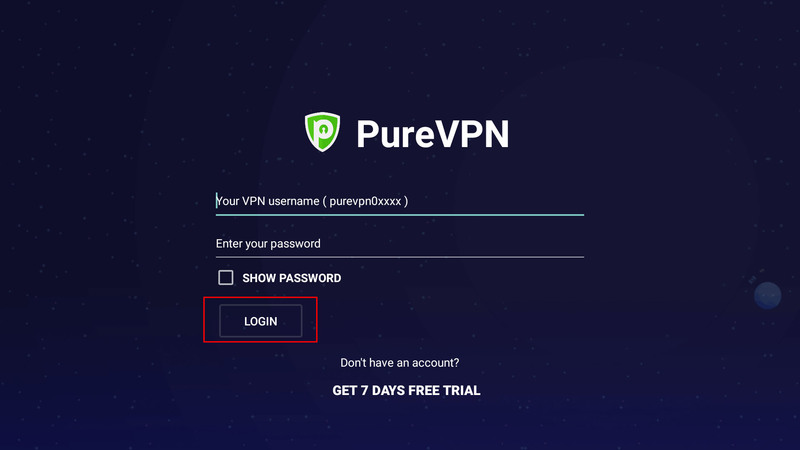 Own a premium PureVPN account (If you do not already own one, you can buy a subscription from here. 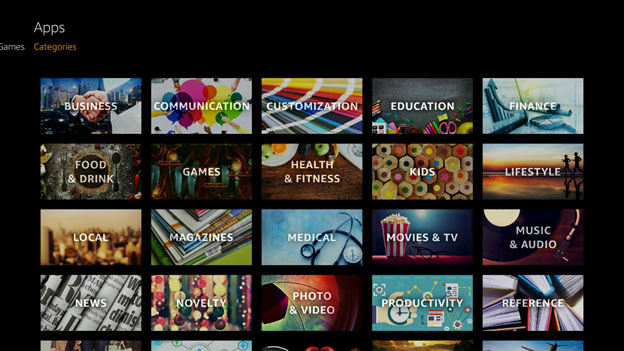 1From your Amazon Fire TV or Amazon TV stick main menu, launch the apps. 7Go back to your main menu and then navigate to My Apps >PureVPN to launch the app. 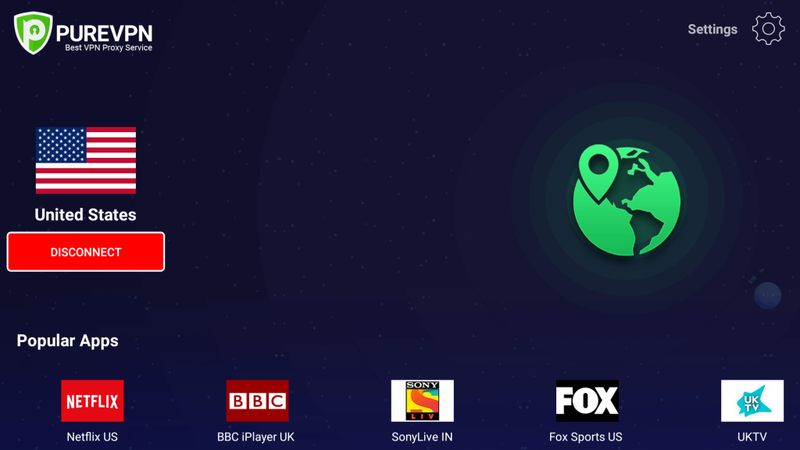 1Go back to your main menu and then navigate to My Apps >PureVPN to launch the app. 2Click Already have an account. 3Enter your PureVPN Credentials & press login. 5It will take a few seconds to connect. 6Congratulations, you are now connected to PureVPN. 2It will take a few seconds to connect. 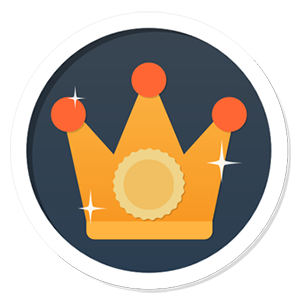 3Congratulations, you are now connected to PureVPN. 2 It will take a few seconds to connect. 3 Congratulations, you are now connected to your desired channel. Can you choose specific Cities in Amazon app? On the Windows browser, I can choose country, and then a number of cities (especially in the US). I’m trying to access location specific items (i.e. I need to log specifically in to a server with IP in New York City). I can in windows. Is that acessible on Fire TV? Unfortunately we do not have the same option for FireTV at the moment. I did the setup as shown. I am not getting a IP address for the country. How do I select my package?? this gives you the mouse curser on firestick straight from your fire tv remote, no messing about and no android phone/tablet needed also no computer needed either. Thanks for reaching out. You should change it to a location where your Amazon account is registered. 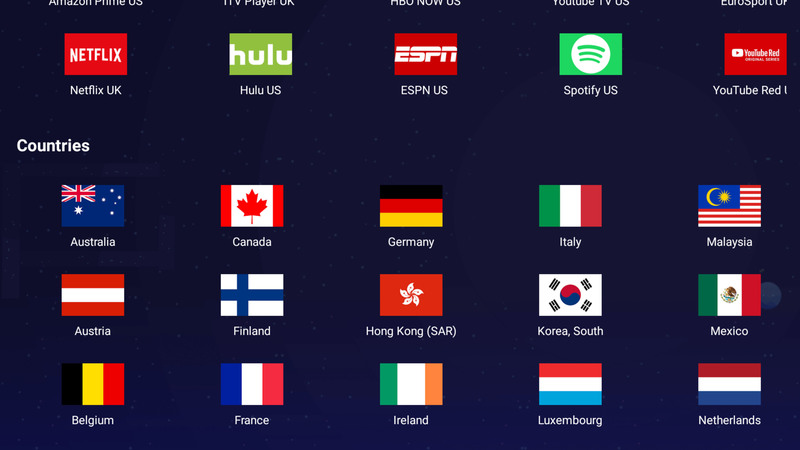 Do I have to change account to USA as I don’t want it to watch Netflix? I have borrowed an android phone and downloaded the Firetv launcher but when the app tells me that I need to upgrade to pro in order to use the mouse function there is no link to an upgrade page. How do I upgrade to the pro version please? Thanks for reaching out. 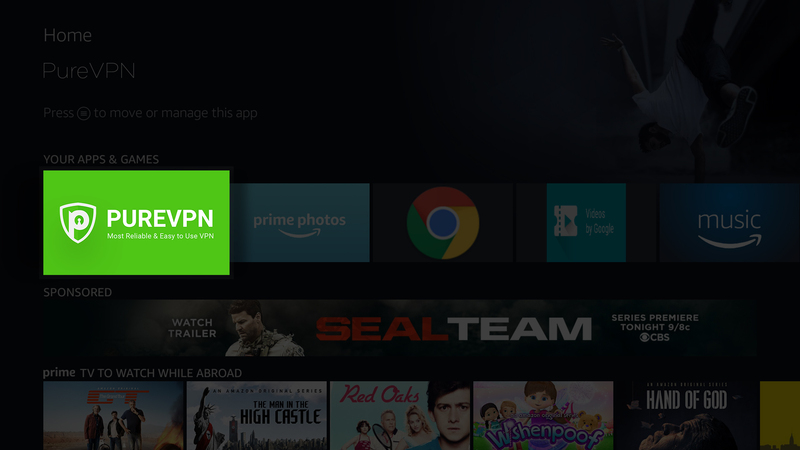 You can setup PureVPN on Router and then you will be able access VPN connection on Fire TV. Hope this helps, feel free to join us on 24/7 live chat if you need further assistance! Thank you for that info. I have borrowed an android phone and installed the Firetv Launcher, however, when I try to use the mouse function it says that I have to update to the pro version of the app but there is no link to a purchase page/site nor is there a pro version of the app in the Google play store. Could you please advise how to either upgrade or purchase the pro version please? Anyone know how to upgrade Android App ‘Firetv Launcher’ to Pro version? Unable to use mouse feature without upgrading but don’t see how, and I do not want to install PureVPN on my router, just my firestick. I have an iPhone, not an android phone, so am unable to use the Firetv launcher. What am I to do as I have already purchased your vpn. Try this and do let us know if it works out! We are sorry for the inconvenience. 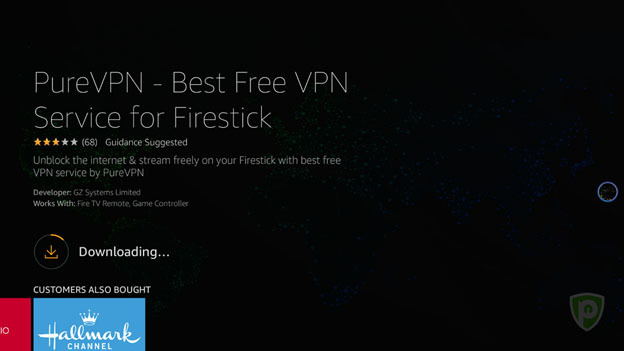 You can setup PureVPN on your Router and then can access Fire Stick easily. Try this and let us know if you are successfully connected. We will also try to work on our App compatibility, thanks for understanding! b.) The app to use the mouse button is not free. This app is FREE to download, but you cannot use it to login to your Pvpn account – you should know that there are massive problems with this app. You should stop recommended the app and fix YOUR app. We are sorry for the inconvenience. 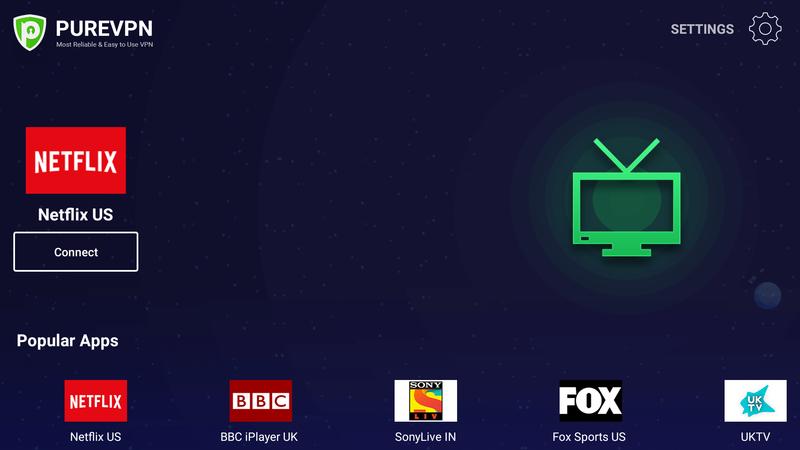 We have not worked on App compatibility with Fire stick yet and we will try to focus on this area on future, otherwise our app works absolutely fine on Android devices. 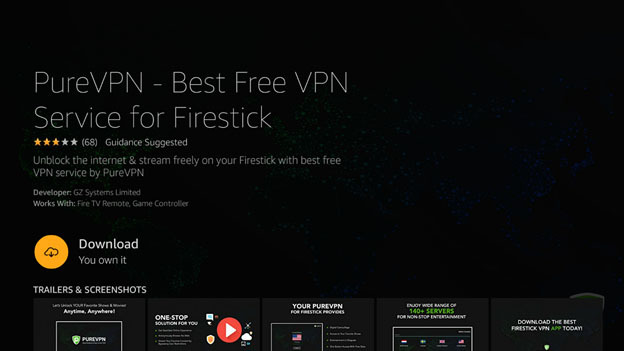 For now, we would suggest you to configure PureVPN on router this way you will be easily able to access Firestick. Hope this helps, let us know if we can assist you further! We are sorry for the inconvenience. 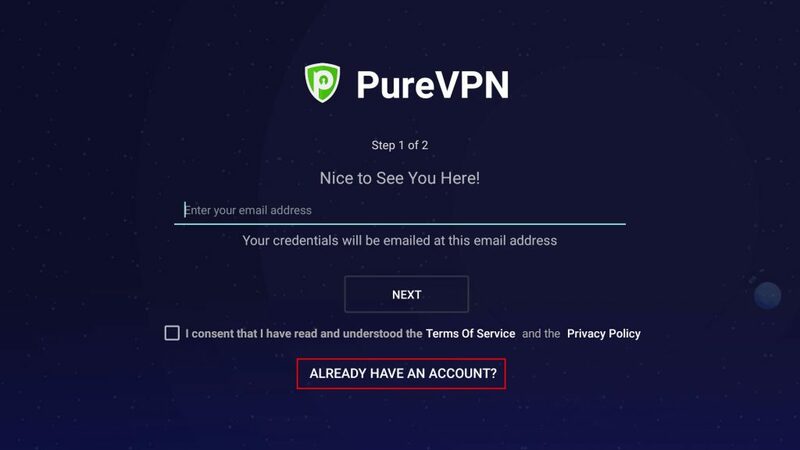 Can you kindly confirm us how you connected PureVPN via app OR router? so we may assist you accordingly. Thanks for reaching out. Once you click on ‘PureVPN’ in favorites then it routes you to a blank page and simultaneously starts downloading app in background, you can verify via notifications. Make sure to check the download folder to find PureVPN app. Hope this works, let us know if you still face any issue! I am encountering similar problems as below and unable to get ES File Explorer to install PureVPN app on Fire TV (Box – not stick). ES File Explorer is only showing a blank web page rather than a download and install option (My Kodi Favorite to download and install works OK). The URL I am using is “https://s3.amazonaws.com/purevpn/androidapp/app-release.apk” (excluding “). Please advise how to correct. We are sorry for the inconvenience. Kindly try this app, it would help you see cursor on your screen and then you should be able to proceed. Try this and update us with your feedback! Try this and update us with your precious feedback! And then your added name should be visible in settings menu. Kindly try this app, it would help you see cursor on your screen and then you should be able to proceed. Try this and let us know if it helps. Thanks for reaching out. If you are connected to PureVPN then it should work fine, even in case the IP is not changed in app. You should open an IP location website on browser to verify. Let us know if you still face any issue! No I was not able to get PureVPN to work on my Firestick. 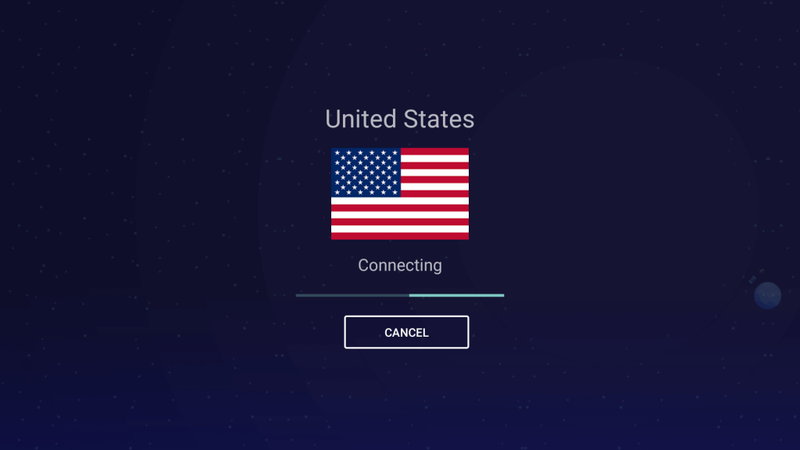 The IP of my Firestick doesn’t change when connected, and no matter what server I pick, it always “Says” it connected to a server in the USA but after checking the IP it remains the same. I’ve tested multiple IP Checking sites as well just to be sure. Try this and let us know you are able to move cursor! Try this and let us know if it helps out! Thanks for reaching. The name you have added in ‘Favorite’ should be visible in ‘Settings’ in left menu. Try this and let us know if it helps! Do let us know if it helps! This does not work. The app requires purchasing to get the mouse buttons to work. Please can you just fix your app? Just paid for 2 years worth. I hope this is just a glitch and easily fixable. Also it would be nice if the app was a little more native to the FireSticks and not stretched from portrait to landscape. 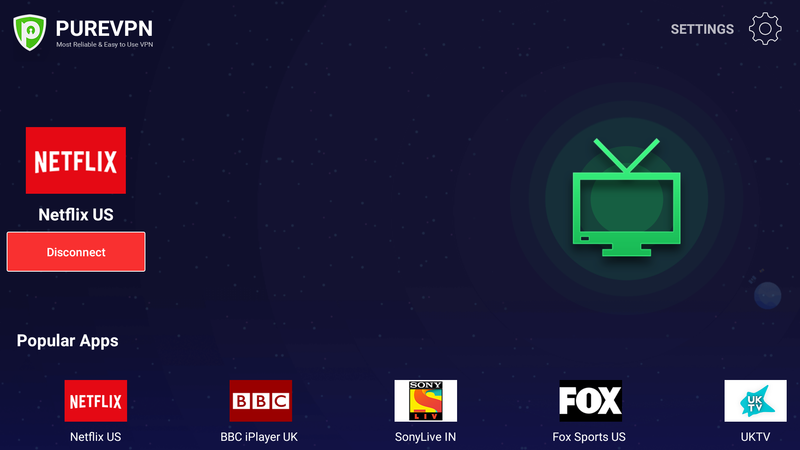 It seems that you are unable move your cursor with Fire Stick If this is the case then I would suggest you to keep moving and tapping your cursor on screen even though you can’t see it on screen but cursor should be moving. This doesn’t work. How can I get passed this to the login screen. This method isn’t working for me. Do we have a solution to figure out how to advance from the intro screen where I cannot click the “done” tab? I’m having the same problem and I cant select the done button in the top right corner. cant make this work…..any other solution? I also have this problem and cant seem to get around it. Any other suggestions? I have the same issue and cant seem to get around it. Any other suggestions? Did this get worked out. I have loaded PureVPN but it shows the tutorial pages and I can move forward and backward through them, but cannot select DONE. Cannot get the cursor to move to ‘skip’ or ‘Done’ with Fire tv remote, have been trying for hours! Has anyone found a solution to this? Same thing is happening here. Been trying more than 30 min and I could not select skip or done. Please help! I subscribed your service to mainly use it on firestick, and it does not work! Step 1: Go into Firestick Settings / System / Developer Options / turn on Apps from unknown sources and ADB Debugging (optional). Step 2: Stay within System settings and go to “About” link. Scroll down and click the button “Check for System Update” and apply any updates that are available. Step 3: Install ES File Explorer which is a free download from the Amazon App Store. Step 7: Select any mode of your choice. Step 8: Tap green plug to proceed. Step 9: Choose your desired country. 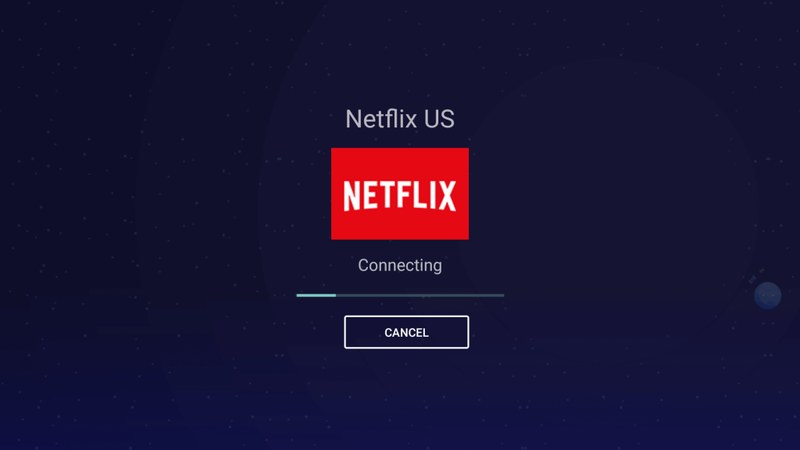 Step 10: An allow connection message will prompt click ok to proceed and your VPN connection will be established. Try this and let us know if it works out! I can’t select ‘skip’ or ‘done’ in the opening screen to advance. Trying this method to add purevpn to my Amazon firetv stick. When selecting the created favorite, Es File Explorer is presenting me with a blank web page rather than offering me an instal link. 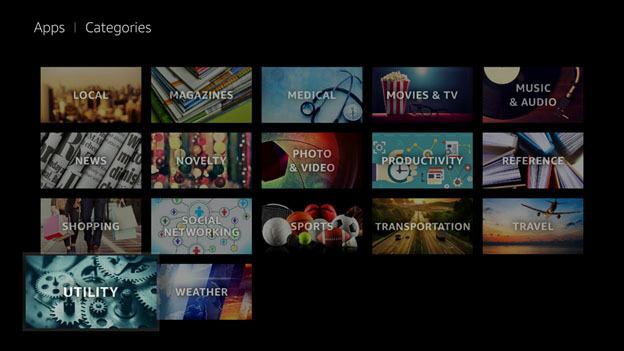 Other favorites, e.g Kodi, are accessing the web ok so I have connectivity. By the way, I cannot work out how to edit the favorite ( just to check I entered the correct url). the link that you ask to favourite doesn’t seem to come up in ES file explorer? Or has the address changed? Having issues getting past step 4. what link should I be adding with ES Explorer? Try this and do let us know if you are able to connect successfully. Thanks for reaching out to us. If you already have UK amazon account then you do not need to change location, but if you want to access content of any other country, Let’s say US, so then you need to change your account settings to US. Let me know if you need further help. Hi I am pretty new to this and although the instruction appear to be clear, I am having problems following them. 1. Is it correct that I need to access my normal UK Amazon account on say my laptop or Mac. 2. Is it correct that I have to change my account settings to uk and put in fake details. This will make future purchases through Amazon impossible. When you move your cursor with Fire Stick, you can’t see the cursor on screen although it is moving, this is an issue with fire stick, I would suggest you to keep moving and tapping your cursor on screen. Let me know if this works out! Yes, you need to root the device. Let me know if there’s anything else I can help with. Well, good to get this info after thinking that it just works via your linked *.APK… Now I already have the contract and don’t really want to root my device because of warranty. Anyway, as I thought it would work without root, I installed the App recently on my FireTV stick, but I can’t control it. The only button it accepts is the “OK/Enter” button. After installing the app asks for the login data and gives me the choice between “Free account (upper button on the screen)” and “paid account (lower button on screen”. As I have a paid account I want to choose the lower button for logging in, but the App doesn’t react on the cursor down of my FireTV Remote. It ony reacts on “Enter/OK”-button or “Back”-button. So how do you suppose to navigate in your provided “PureVPN_V_3.0.2+Kindle.apk” ? It is not necessary to select account to US , you can set it to any country, in your case you can set it to Switzerland. If you have any further question, feel free to write us. Could you please explain why I do have to do the first step (setting account to US)? What if I want to have swiss vpn server… do I still have to set my account to US first? I was about to open a ticket, but this article was really helpful in setting up my Fire TV. Neatly explained. I am Glad, you did not need to open a ticket and set up Fire TV by using this guide. Our aim is to make things easier and quicker for our valued users like you and it seems that we are getting some success. Let me know if you need additional help, have a great day!